The Boston Celtics and the Miami Heat will on Wednesday at American Airlines Arena. The Celtics continue their fight for home court advantage in the first round of the Eastern Conference playoffs. The Miami Heat are desperate to hang onto the eighth and final playoff spot. The teams finish a home-and-home set tonight in Florida. The Celtics got past the Heat at home 110-105 on Monday. They remained in fourth place in the East by virtue of a tiebreaker with fifth-place Indiana. TV: 7:30 p.m. ET, NBATV, NBCS Boston, FS Sun (Miami) LINE: Celtics -1; O/U: 213. Irving had 25 points in the contest as he helped hand Miami just its fifth loss in the last 16 games. The win leaves the Heat a half-game up on ninth-place Orlando in the East. Goran Dragic led Miami with 30 points. Dwyane Wade added 17 in his final regular-season visit to Boston. 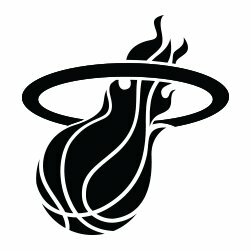 The Heat play three of their final four games on the road, including a finale at fellow playoff hopeful Brooklyn on April 10. The Celtics were a 110-105 winner in their most recent outing at home against the Heat. They failed to cover the -7-point spread as favorites, while the total score (215) made winners of OVER bettors. The Boston Celtics are 46-32 on the season. Center Al Horford picked up his first triple-double in a Boston uniform with 19 points, 11 rebounds and 10 assists against Miami on Monday. Horford is averaging 19.8 points, 7.6 rebounds and 5.6 assists over his last five games. Forward Gordon Hayward chipped in 11 points off the bench. He has reached double figures in a season-high five straight games. The Miami Heat are 38-39 on the season. Center Bam Adebayo contributed 18 points and 14 rebounds at Boston. It was his third double-double in the last five games. Each of those contests has been decided by single digits as Miami fights for a spot in the postseason. The heat are ending the year with a string of games with near-playoff intensity. Miami missed a host of 3-pointers down the stretch to finish 10-of-37 from beyond the arc.